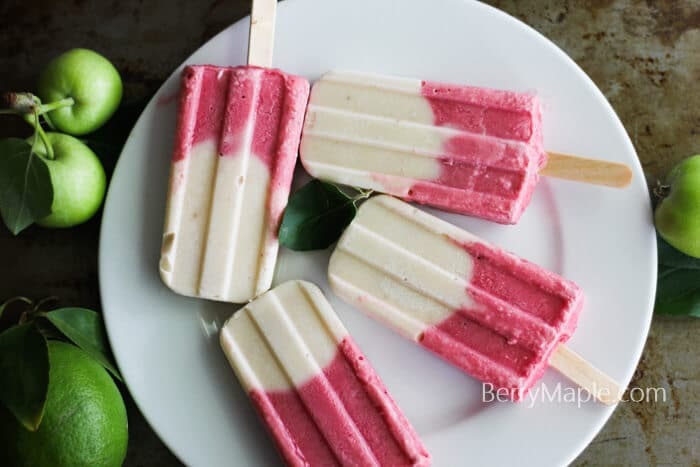 Here I want to share with you a list of 5 popular popsicle recipes from BerryMaple Organic blog ! 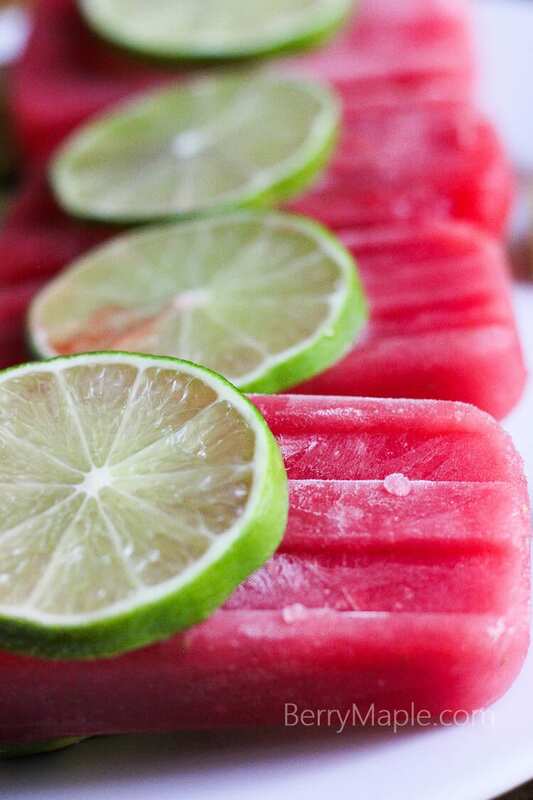 I got a lot of attention on this posts once summer came and thermometer skyrocketed to 100F … Thank you for the interest to my recipes and… lets go! For this recipe, you truly don’t have to do anything. Not kidding ! 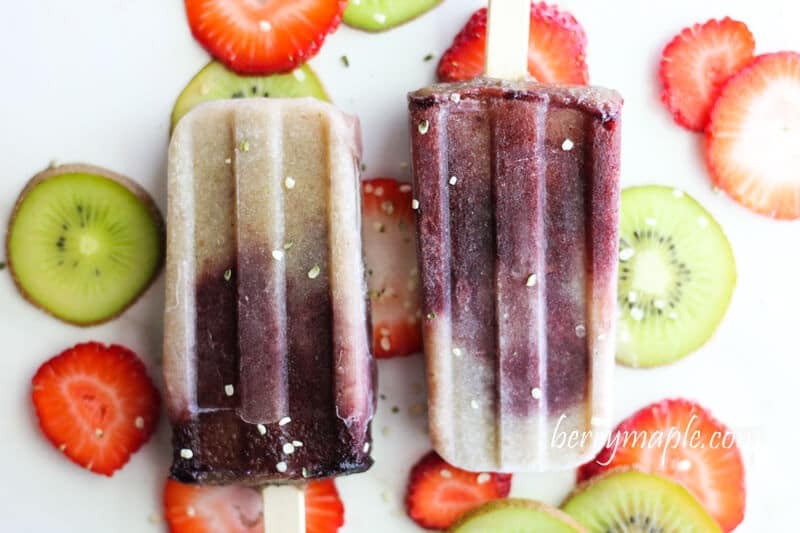 Juice ice pops recipe requires just any kind of juice and fruits! 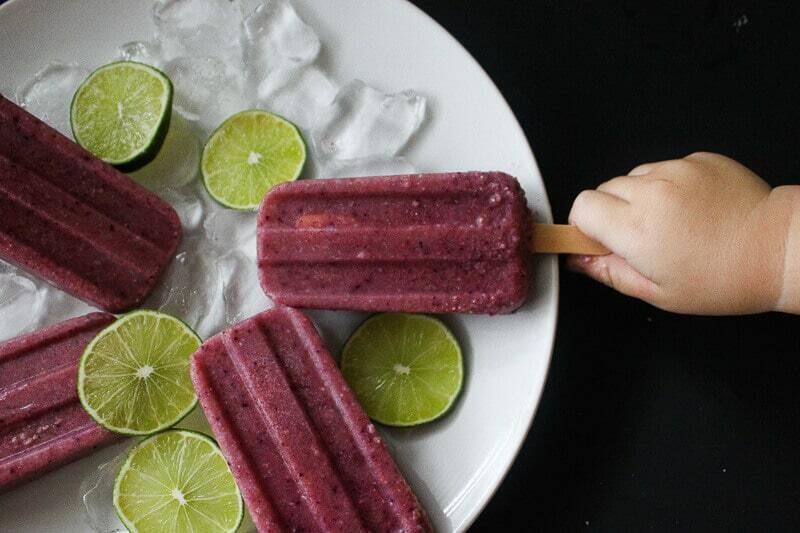 So full of blueberries and flavor, a must for the hot weather! 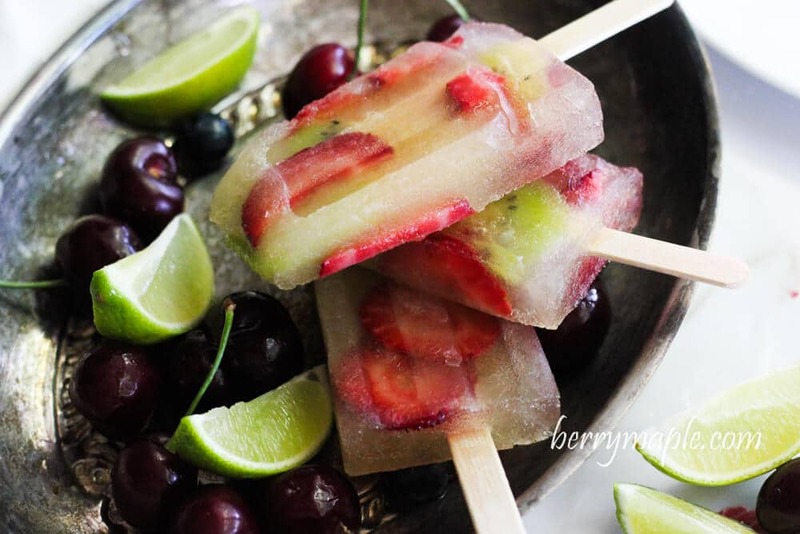 Guilt free and simply delicious, this pops will let you have a summer treat without that extra calories. Thank you and enjoy your summer !! !